I am a wife, mother of two, author and daydreamer — my head is always in the clouds. Just recently, my books have been accepted into the local library, and local bookstores. I am very excited to have signed a contract with an indie publisher -- very grateful. A military family, over the course of ten years, we have gone from Texas to New Jersey, to the midwest. Over the years, I’ve written several novels and finally decided to stop hiding them out of fear. In a shooting rampage, Monroe Song’s husband took several innocent lives including three of her sons. In the wake of the devastation she is less living life than managing to stay alive. Involving herself with a 24-year-old is perhaps not her best option, especially when her surviving son needs her so desperately. “Like Shards of Glass” is a tale of love, loss, betrayal and murder. The author, R.H. Ramsey, gave me a copy of this novel as an Advanced Reader’s Copy in exchange for my review. Content may have changed between the copy that I received and the date of publication. 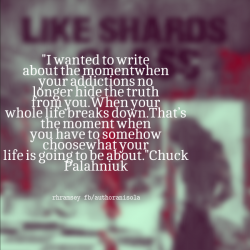 Ramsey said that “Like Shards of Glass” was a short story that took on a life of its own. In reading this poignant and emotionally insightful story, I wondered where she had planned to stop. Any missing piece of this complex and tragic tale would have been a loss. Ramsey alternates P.O.V. between Monroe, the twenty-four-year-old Dominique and Monroe’s surviving son, Karter. The first hand perspective of each player gives us his or her unique view on his or her past and present and soul deep fears and sorrow. There’s a sense, especially from Monroe, of being so far gone that even a glimpse of one day living above the tragedy is just something she cannot bring herself to hope will happen. As usual with Ramsey’s work, the inner workings of the characters are profound and perhaps rather inevitable. 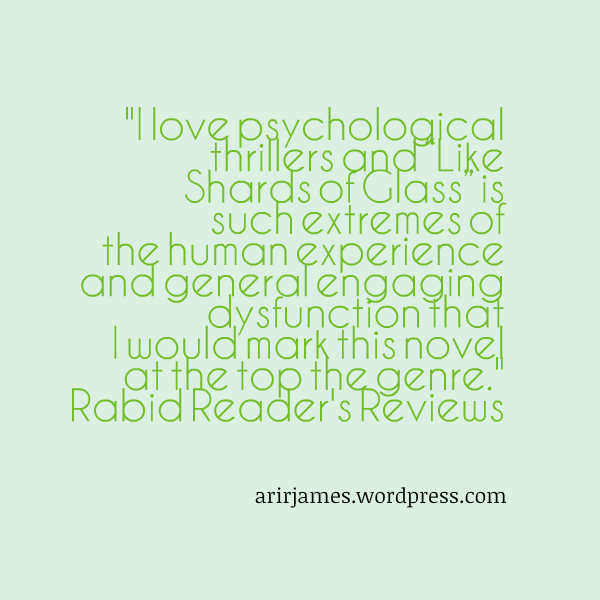 “Like Shards of Glass” takes Ramsey into the thriller genre illustrating that this author clearly owns whatever she wants to write.